Maybe it was because the weather was perfect when I rode it but this circuit was probably my favourite ride from a 2014 trip to northern Portugal. 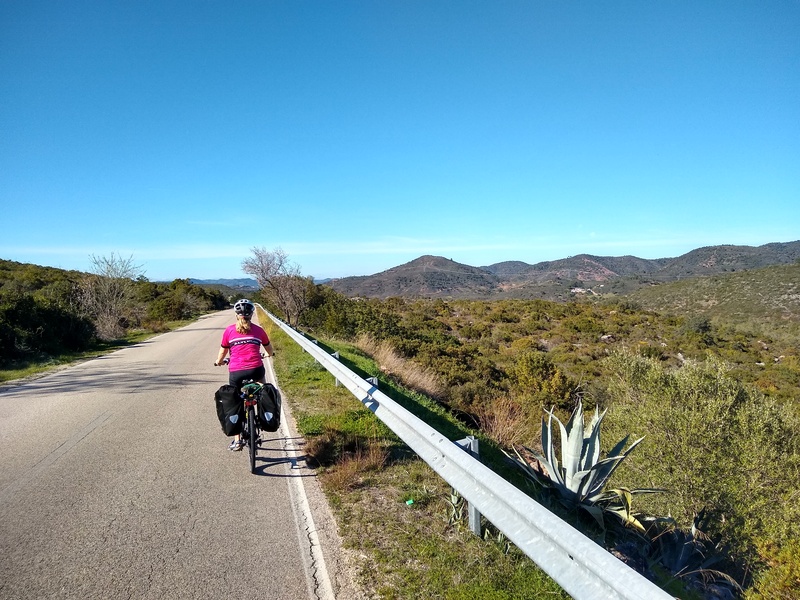 There are two pretty big climbs to tackle – crossing the mountains that run along the border between Spain and Portugal. However, the dramatic views are worth every drop of sweat. Plus there’s plenty of more relaxing riding to enjoy. The image above shows the view at the top of the first climb – the YouTube clip below is from the beginning of the descent. The route shown on the map below (click on ‘larger image’ and open in a new tab to see the full circuit) starts from Montalegre (which would make an excellent cycling base). After a gentle introductory section it then takes you over the hills to one of the most remote villages in Portugal and across the border into Galicia. From there, you follow a long valley that parallels the frontier before climbing back over into Portugal – and a gorgeous long descent back to Montalegre. Total distance is around 57km (36 miles). Moderate to tough. Two major climbs involved – the first of around 300m and the second around 250m. 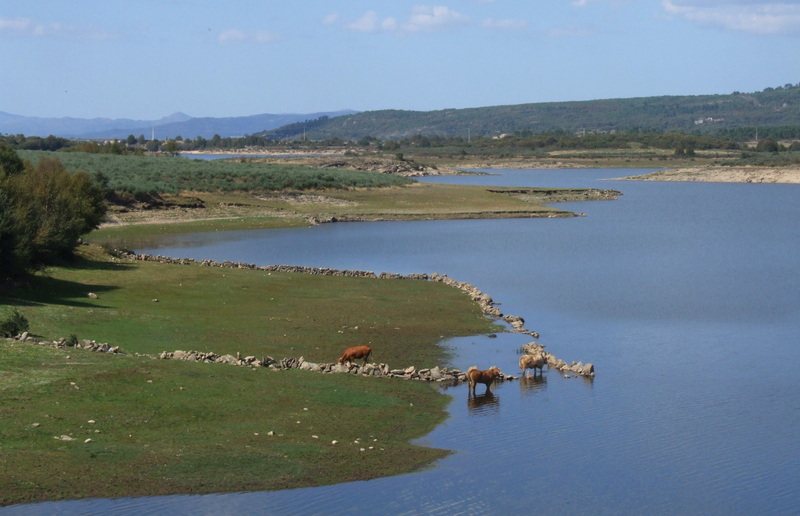 You’ll find various accommodation options in Montalegre. 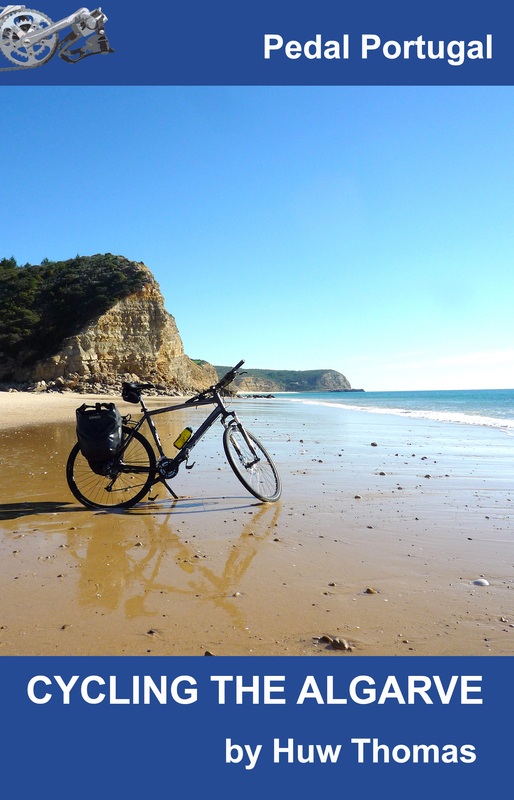 The nearest campsite is about 9km away in a fantastic setting by the Rabagão reservoir. There are also quite a few rural tourism properties in the area. 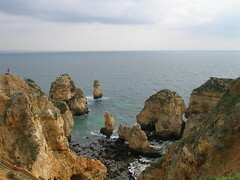 The nearest big town is Chaves, about 40km to the east. Montalegre also offers a supermarket, bakeries, cafes, restaurants and other shops. Some options for supplies along the route are mentioned in the text above – I’m not aware of anything else but would welcome any updates or additional information. 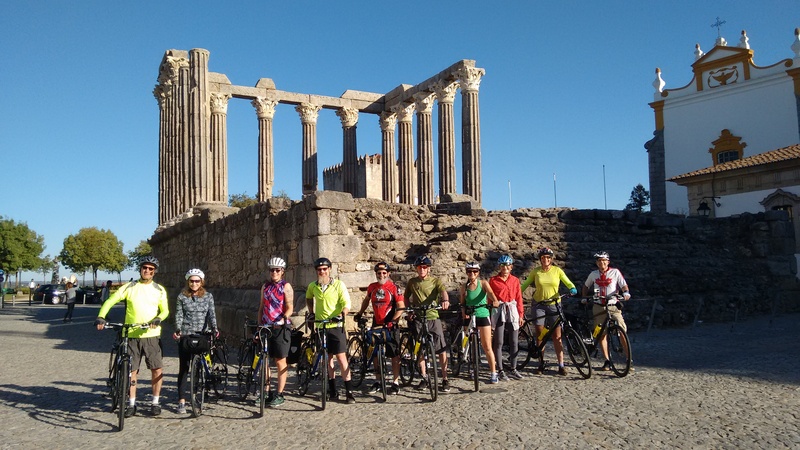 The most logical place to begin is from the Intermarché supermarket on the outskirts of Montalegre – which also gives you an opportunity to stock up with supplies as there are very few shops along the route. From here, the N308 follows the Cávado valley west – and downstream – for nearly 12km through a mixture of farmland and wooded stretches, with hills off to either side. After crossing the river, the road climbs slightly out of the valley and you pass turnings for a couple of small villages. There’s a tight bend around a small side valley with the village of Covelães up above you. You then come to a handy cafe/restaurant opposite a steep right turn up into the village – this is the beginning of your first big climb. The road winds up through Covelães and then out into open countryside as it heads north, still climbing steadily. The first 2.5km are the worst part, after that the incline gets a lot more gentle. You come up on to some open hillside, surrounded by wild moorland and views west to the high peaks of the Serra do Gerês. There’s a turning to Pitões de Júnias, a remote village known for its ruined monastery, waterfall and nearby walks. I didn’t take this detour myself but it might make an interesting side trip. The road continues to climb gently to a height of about 1,280m, where it comes to a pass between slopes strewn with huge granite boulders. Then it’s over the top and down, down, down to the village of Tourém, which sits in a strange little ‘peninsula’ of Portugal that’s surrounded on three sides by Spanish territory. It’s a long, steep descent and you’ll need your brakes on the way down. Tourém is a picturesque place, full of stone houses, cobbled streets… and not a lot else. My old version of The Rough Guide says there are a couple of cafes and shops but we couldn’t see anything open when we rode through. There was a mercado but I’m not sure the shop was still functional. Note: there is a turning (signposted) to Randín in Spain just before Tourém that would cut off a corner if you wanted to shorten the ride for any reason. The road isn’t shown on most maps but is perfectly fine. From Tourém the road goes down to the Rio Salas (which is dammed downstream) and over a pretty roughly surfaced bridge. 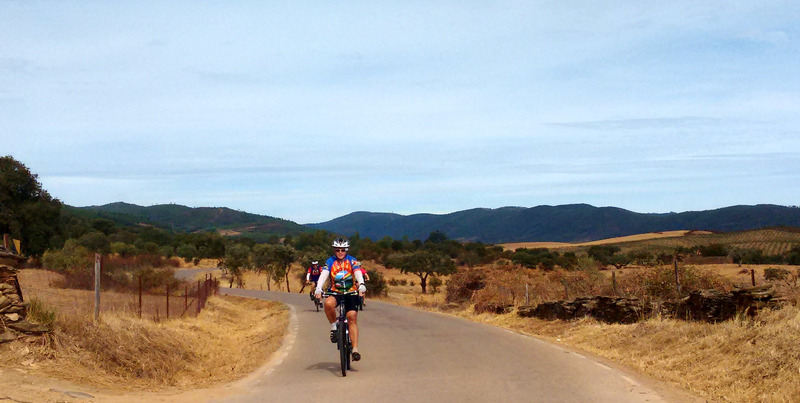 You ride a little further in Portugal than hit some lovely smooth tarmac as you enter Spain. Head north-east over some flat farmland and then turn right for Randín. It’s just over 4km from the Spanish border to the sign for the village. Just before this there’s a charming old chapel on the right, which makes a great picnic spot – granite tables and benches under some ancient oak trees (in season, the ground is also carpeted with autumn crocuses). From Randín, you follow the southern side of the Salas valley, gently climbing and passing through a couple of small villages. It’s a lovely road with views of mountains to either side and a mix of woods and fields around you. In just over 10km you pass a sign for the village of Boullosa (shown on some maps as Vilamaior). 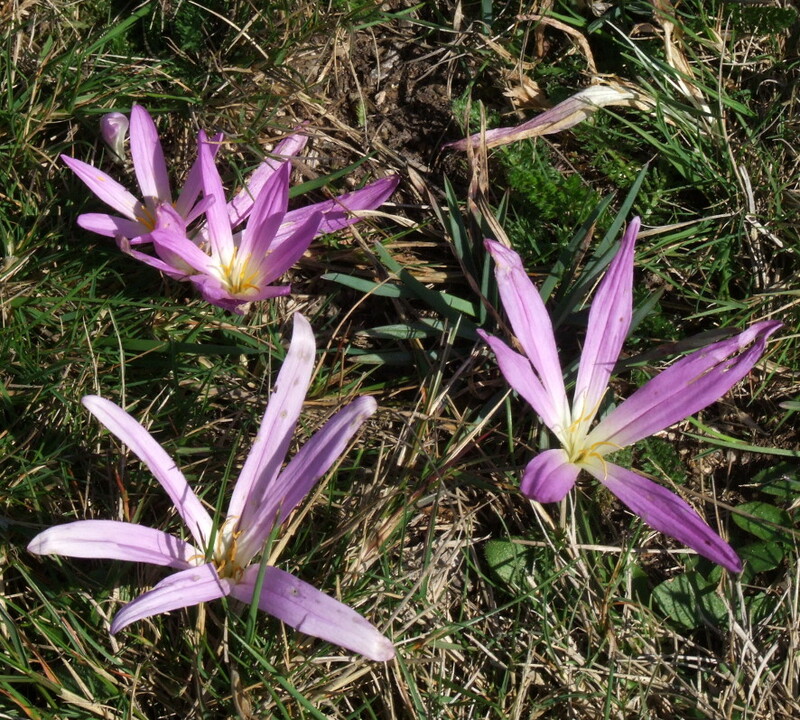 Take the first right – signposted to San Martino. This takes you around the back of Boullosa and up a sharp climb as you cut across to join the main road south from Baltar. Once on the main road it’s a long steady climb up to the frontier, where there’s a truck-stop restaurant just on the Spanish side. 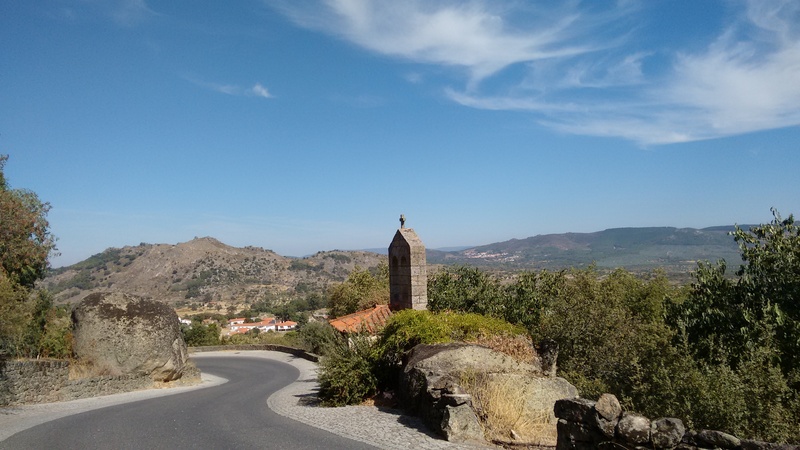 There’s a little more climbing to do before you get to the actual top of the pass but after that you’ve got the best part of 8km of downhill as you cruise back down into Montalegre and back to the start.